I must apologise for making a bumblebee my Image of the Week for two weeks in a row, but I couldn't resist. 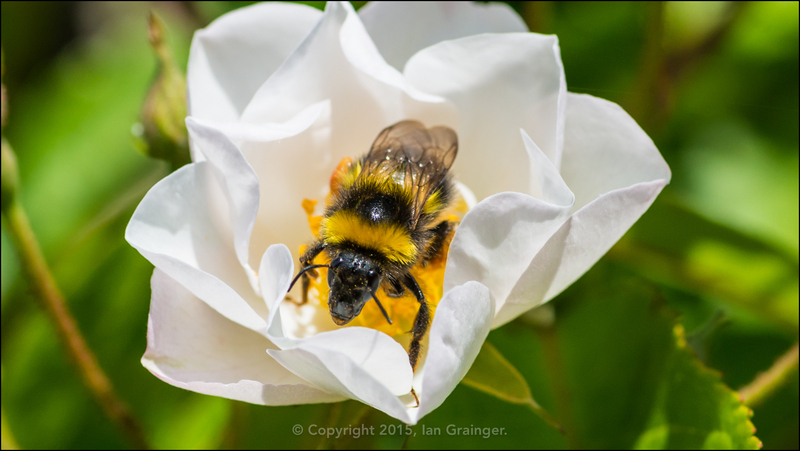 The arrival of the Wild Roses in the garden seemed to send the bumblebees into some sort of pollen collecting frenzy. Not only were they performing their usual diligent job of storing the pollen in their pollen sacks, but they actually seemed to be bathing in the stuff! Normal behaviour for a bumblebee would be to visit a flower, spend a minute or so collecting pollen, then move onto the next bloom. However, when it came to the Wild Rose blooms, the bumblebees were spending well over five minutes wallowing in their pools of pollen. It was like they didn't want to leave! I've never seen anything like it before, and it goes to show how important our native plants and flowers are to our native insect species. 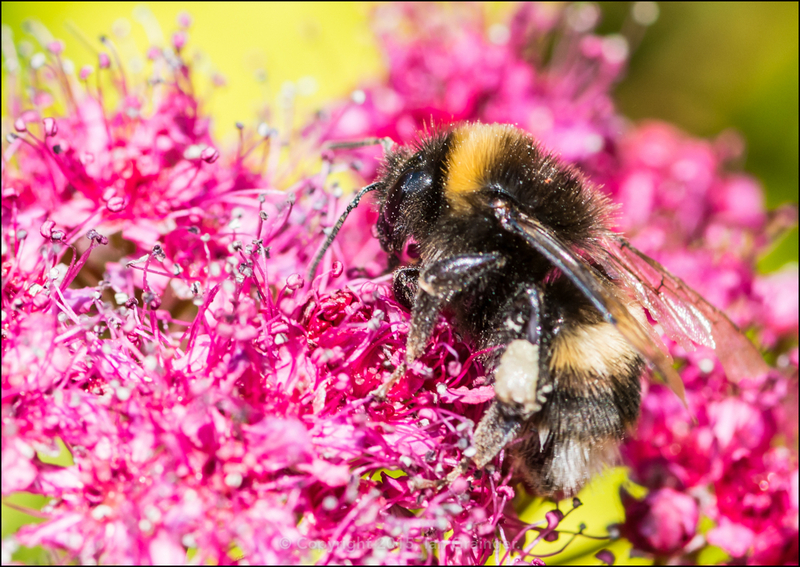 This is the reason for making a bumblebee the subject of my Image of the Week for the second week running!